14 – Sustained by Water – One Billion Hungry: Can We Feed the World? 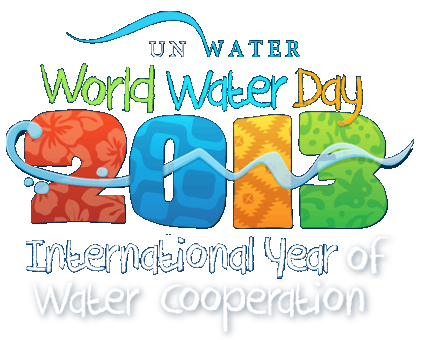 Today is World Water Day 2013, celebrating the International Year of water cooperation. A paradigm of the world’s water challenges is that although agriculture accounts for approximately 70% of global water resources, around one billion people are chronically hungry. As water for irrigation and food production constitutes one of the greatest threats to the sustainability of the world’s freshwater resources, we discuss four methods of reducing water use in agriculture, methods that can reduce water use without limiting, and sometimes increasing, food production. Grow crops that use less water. This can mean either crops that due to their physiology require less water. For example growing grapes and olives requires significantly less water than tomatoes or bananas. Or it can mean crops bred to require less water such as the Water Efficient Maize for Africa (WEMA) project. Of course the choice of crops grown is also dependent on environmental and socio-economic conditions. Precision use of irrigation either by scheduling irrigation for times when the crops needs it or using irrigation only in areas needed. Methods can include direct measurement of soil water content to inform on timing and placement, sprinkler or drip irrigation. But issues of access to and management of water supplies can limit the feasibility of some of these techniques in some areas. Use methods alternative to irrigation such as rainwater harvesting and treated wastewater. Enhance water retention in the soil through farming methods and systems such as residue management, conservation tillage, zai, bunds, contouring and field levelling. This will reduce the amount of water that needs to be applied to the field. For the future new technologies such as micro-scale solar desalination units or nanotechnology hold some potential. But whether at the frontiers of technology or tried and tested, many of the solutions to agriculture’s dependence on water require knowledge, research and access to forms of innovation. Investing in participatory research that meets the water and production needs of local farmers is therefore critical to reducing water use in agriculture and building the sector’s sustainability. For a wider analysis of global water security click here. As discussed in Chapter 14, groundwater usage in some areas of the world is well above recharge rates (the rate at which water used is replaced). Indeed 15% of aquifers are being used unsustainably, most notably aquifers in western Mexico, the High Plains and California’s Central Valley in the United States, Saudi Arabia, Iran, northern India and parts of northern China. These aquifers are particularly crucial to agriculture. Researchers from Canada and the Netherlands have shown, by using global groundwater usage data and models of underground water resources, that for these few aquifers the overextraction rates are so large as to offset the efforts of sustainable management in other areas. Or in other words for the globe, water use, on average, is higher than recharge rates. There are also fears that largely untapped underground water reserves under the driest North African countries like Libya, Algeria, Egypt and Sudan may be unsustainably managed. Mapped by a team from the British Geological Survey and University College London in April these reserves could be a huge buffer against future drought but schemes are already in place in some countries that could undermine this potential. In Libya, for example, the $25 billion Great Manmade River project, implemented under Colonel Gaddafi is planned to provide water to residents of Tripoli, Benghazi and Sirte. The provision of water is planned to be higher than the rate it can recharge itself. At these rates water resources are expected to last about 60 to 100 years.